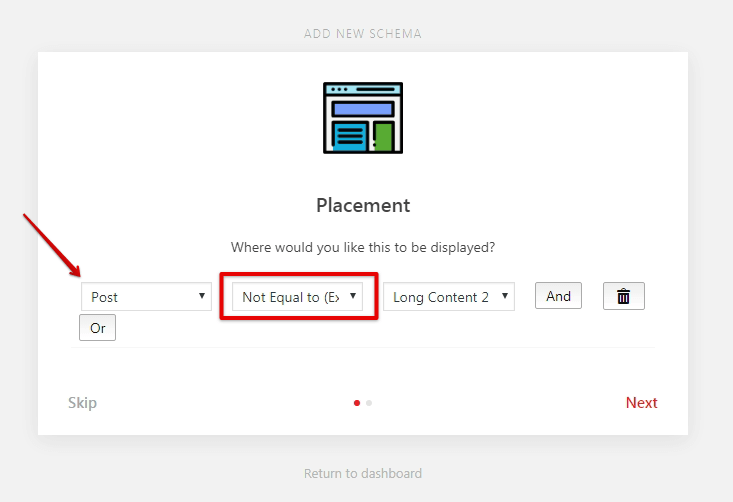 This tutorial helps you to set up the placements for schema types so, let’s get into it. In Structured data schema type, first, we request you to click on Add schema type and select schema type like WebPage, Blog posting, Article, etc. 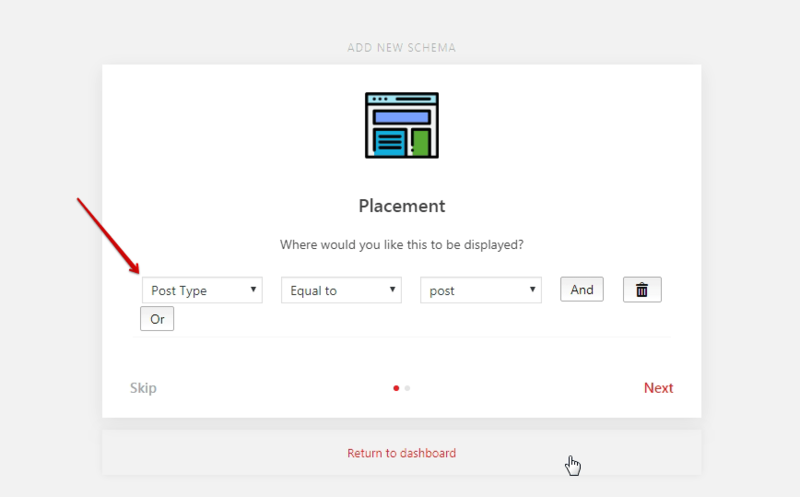 After selecting the schema type, you need to set the Placement for the schema markup for specific post/page or all posts where you want to show the schema markup. Also, we have excluded feature where you can exclude any Post/Page for any Schema markup. We hope we’ve clear your doubts in case If you have any feedback or questions, then please share them in the comments section below. Or you Just contact us here and we are always available for you.